One of the most effective and popular ways to build links is what is unfortunately known as "Ego Bait". It's an unfortunate name/term, as Chris Dyson said, since it immediately casts a manipulative pall over the practice. In my mind, Ego Bait is really just about attempting to engage influencers to further amplify your work and build links. It's a very basic marketing/psychology principle - the element of reciprocity. If you positively feature another person, they're more likely to return the favor. In this case, through social media shares and maybe even a link. I feel comfortable in describing myself as a slice of humble pie. I certainly try to be anyway - a certain amount of self-deprecation is associated with all stand-up comedians. Of course, my ego takes a significant increase in the 12 hour window after a great set. And as self-deprecating as comedians can be, it’s very much an egotistical form of expression. It’s a demand for an audience’s attention for anywhere from 5 to 90 minutes, because you have something they need to hear. The point is even those on the humbler side of the spectrum don’t mind sharing from time-to-time when they’ve done something of note. The ones on the opposite side of the spectrum don’t mind sharing even when they haven’t. That’s why Ego Bait is one of my favorite linking strategies. So how can you leverage Ego Bait for link building? Easy. A roundup bears a resemblance to an average survey, only the respondents aren’t anonymous. Instead, they're chosen specifically because they're authoritative and seen as an influencer. When I hear survey, I think of a litany of “yes and no” questions. Roundup questions are typically, or at the very least should be, open-ended questions. 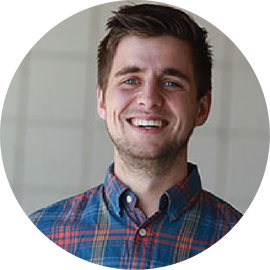 Jon Cooper of Point Blank SEO put together this roundup. 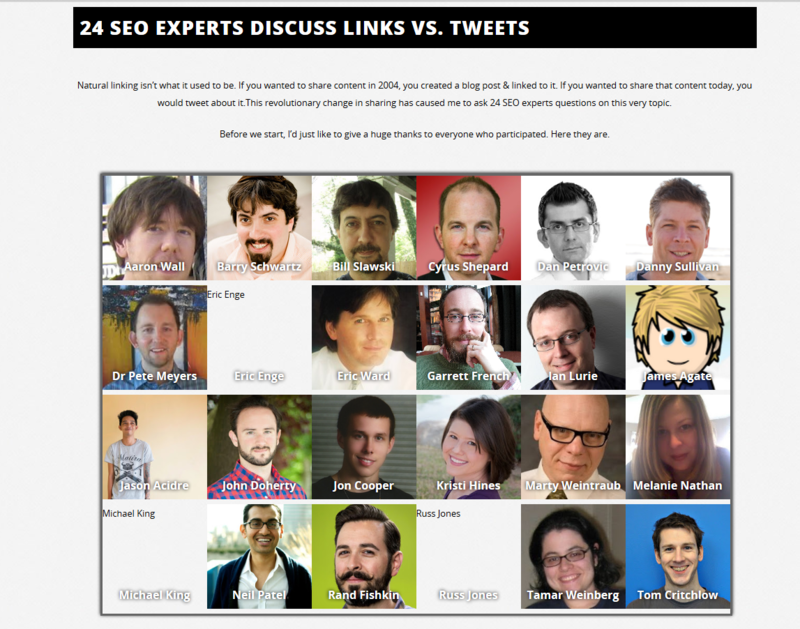 He asked 24 experts in the internet marketing sphere to ruminate on whether links or social shares were more powerful. Is this great content for his readers? Indubitably, but that’s not the only purpose here. This is also a chance for Point Blank to earn links--and shares for that matter--from highly influential people in our industry. The more links he gets from these people, the more link equity will flow to his page. He's killing three birds with one stone, so to speak, by associating himself with high authority influencers, creating great content, and building valuable links and shares. When putting together such a roundup, pick one or multiple questions that relate to a hot topic within your niche. Cooper picked a great one for the purpose of his roundup. Everyone in our industry has an opinion on this matter, and they want their voices heard. Maxim Magazine, a men’s magazine if there ever was one, releases an annual list called “The Maxim Hot 100.” It’s exactly what it sounds like, a list of female celebrities judged strictly on physical attractiveness (because patriarchal society)! Every now and again, Maxim throws a curveball. For instance, this anomaly can be found in the 2012 edition. There are a lot of problems I have with lists like this, not least of which finding it beyond creepy that grown men are drooling over pictures of women who aren’t even old enough to legally consume a Bud Light (#68). Now it has to be inconsistent?! Yes, that’s future Late Show host Stephen Colbert at 69, and he’s the only one who gets to wear sleeves! On a side note, I’m really going to miss these segments when he moves to CBS. An obvious trait of the Colbert persona is unashamed self-aggrandizement. When the Ministry of Economic Affairs and Transport of Hungary chose to name a bridge in Budapest after him, he featured the ministry on his show (they changed the name to the Megyeri Bridge shortly after). Minor league hockey teams are typically unknown outside of their hometown, but Colbert shined the public spotlight on the Saginaw Spirit when they named their mascot Steagle Colbeagle the Eagle. In this instance, Maxim is no different from a minor league hockey team or a foreign ministry. When Maxim placed Colbert in the middle of their most objectified women in the world list, he took a moment on the show to mention his placement. 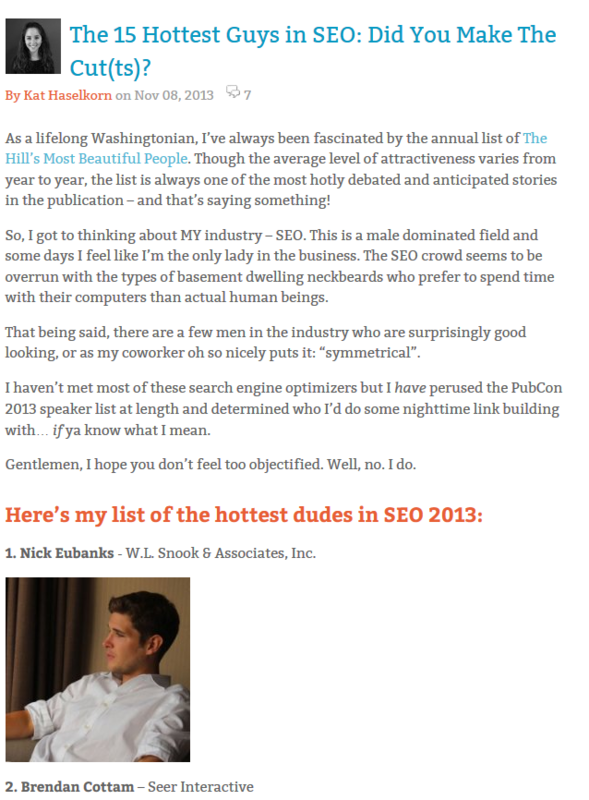 This isn’t a direct example of link building, but rather the fact that "Ego Bait" is used throughout all of marketing. Yeah, this happened once. I honestly don’t know which makes me more angry: the fact that this compilation of male objectification is out there, or the fact that I am not one of the objectified fifteen. This list sparked a lot of controversy in the industry, and I understand why. It did drive traffic to the author’s site however. Interviews serve a variety of purposes, and once again demonstrate how link building can incorporate multiple benefits. In this case you can build a relationship, offer value to your audience, grow your authority, and build a link all at once. If you’re looking for links from influential webmasters in your niche, interviews are a great method. When I say interviews, I don’t mean the Frost/Nixon “get him to say he ruined the American trust in government” variety; make sure the interview will be flattering. Don’t make it a total puff piece at the same time. Come up with a list of challenging questions that will allow your subject to show off her/his brain power. The interview can be text-based, in a video, or even a podcast, though I would suggest video/podcast if you have the resources. Whatever the form, when you post the interview on your page, the person you interviewed is highly likely to link to it on her/his site. They will be just as interested in promoting it as you are. You don’t have to create content that is wholly focused on egobait. Any reference or feature of another persons work is a form of mini Ego Bait material. If you’re writing a blog and find an opportunity to highlight great work by someone in your field, go ahead and take the opportunity. Examples are always great when putting together content, but your example could also earn you a link from the person you are appealing to. When you mention that person in your content, you're giving them a vote of confidence to both your readers and Google; don't be shy to notify them after your work is live, letting them know that they've been featured in your work. Is it a guarantee they will link to you? Not at all. But there are no guarantees in link building: anything that IS a guarantee is too good to be true and potentially open to penalty. Your mention opens up an opportunity that wasn’t there before, however. Link building is a lot about opportunity building. We have a pretty talented writer on our staff who doesn’t have the time to write as much as we would like. His name is Dustin Verburg, and about a month ago he found enough time to put this together. 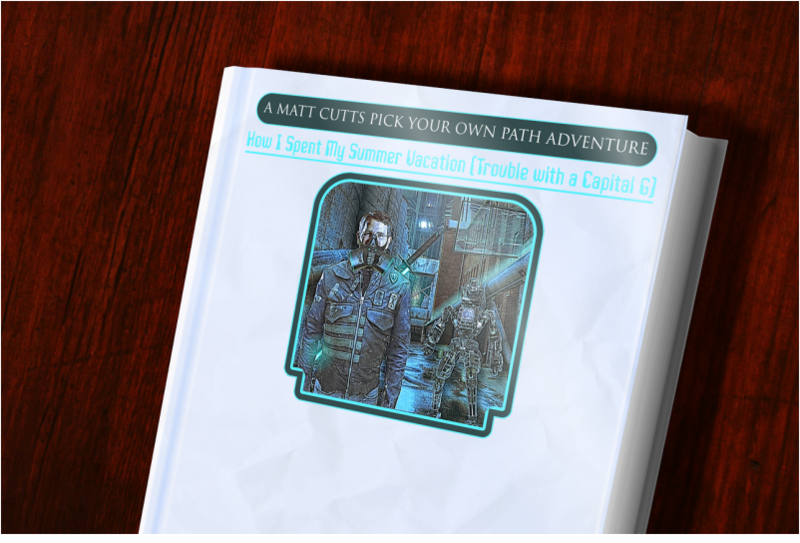 It’s a choose your own adventure story, where you the reader get to live vicariously through Matt Cutts as he battles the tyrannical Arianna Huffington during his summer vacation. This was a big win for our site. It’s fun, digestible and wonderfully creative. To an extent, this was also egobait, although I can assure you this wasn’t Dustin’s primary objective. Cutts took time away from his freedom fight to like this on Twitter. He didn’t link to it on his blog, but he very well could one day. And as AJ Kohn said, social media can impact SEO by increasing amplification, audience reach, and eventually links. Egobait isn’t always about appealing to the specific person you’re targeting; it’s about appealing to her/his followers. Quick brag: I made it further through than anyone else in my office that I know of. How’s that for lack of survival skills Coach Bybee from 8th grade gym?! Engaging authority figures and influencers within your niche should be on your radar for online marketing. It's an intelligent way to build your own authority, build important relationships, expand to bigger audiences, and generally be noticed. It's also a great way to build links. 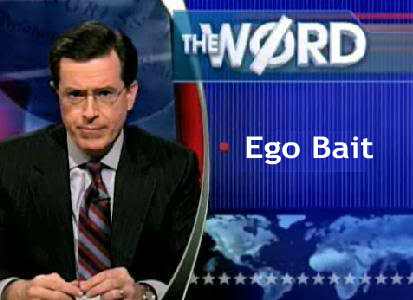 Despite the name Ego Bait, there doesn't have to be anything manipulative about the process. I’ve been egobaited before, and I knew exactly what was happening. I don’t have my own website, but I do have accounts on all of the major social media platforms (and Google+), and write both here and on Page One Power. What do I do everytime I get egobaited? I share the content on all or most of my accounts, and have even provided a link before. Duh. I told you before, I have an ego. When you really boil it down, it's a simple human philosophy: you scratch my back, and I'll scratch yours. 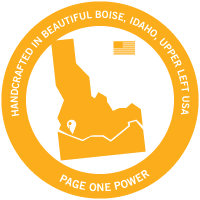 Jesse Stoler is a Content Specialist at Page One Power, a link building firm based out of Boise, Idaho. His hobbies include stand up comedy and pretending he has fans.